This statistic presents Snap's quarterly average revenue per user (ARPU), sorted by global region. 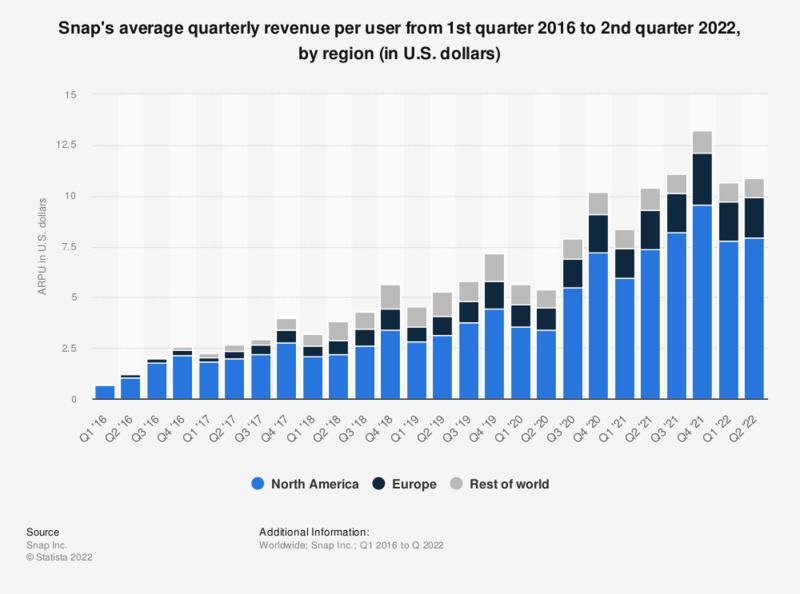 As of the fourth quarter of 2018, the photo app company's ARPU in North America (including Mexico, the Caribbean, and Central America) amounted to 3.38 U.S. dollars per quarter, up from 2.62 U.S. dollars in the preceding period. North America includes Mexico, the Caribbean and Central America.